ARS-2051 is a standalone copy controller supporting high speed SATA BD/DVD/CD writers. 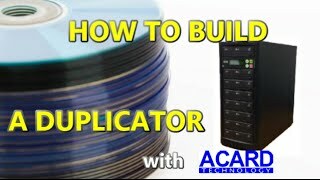 It allows you to carry out duplicator requirement without taking up the resources of your computer. It is initiated with the simple press of a button without software and training are required. It is designed for the user who is looking a way of making instant backup original BD/DVD/CD data, more efficient and much simple solution, such as personal, SOHO and office users.